The guest for this episode is Emma Levine. 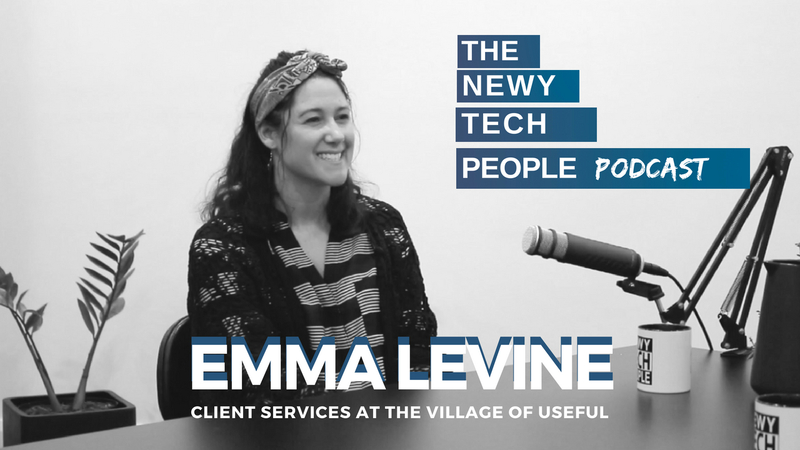 In this episode of Newy Tech People, Emma and I sit down and chat about her innovative role at the Village of Useful. We delve into her career, her past studies and her adventures overseas. Emma is one of the strongest networkers I’ve met, having both created meet ups as well as organising frequent one on one conversations to learn more about those in her field both personally and professionally. If you’re interested in building your network this is definitely an episode you can learn from. Each Tuesday Emma catches up with someone over coffee to learn something new and talk about the exciting things happening in their life and career. If you would like to get in touch with Emma to organise a meeting she said she is more than happy to discuss this through contacting her on LinkedIn.